Lenovo TAB3 8 TB3-850F features a 8.0-inch display. It draws the power from 1.3-GHZ 4-core CPU and 1-GB of RAM. It has 5 Megapixel main camera. It is equiped with 4290 mah battery. The TAB3 8 TB3-850F with 16 GB of ROM/ Internal Storage. 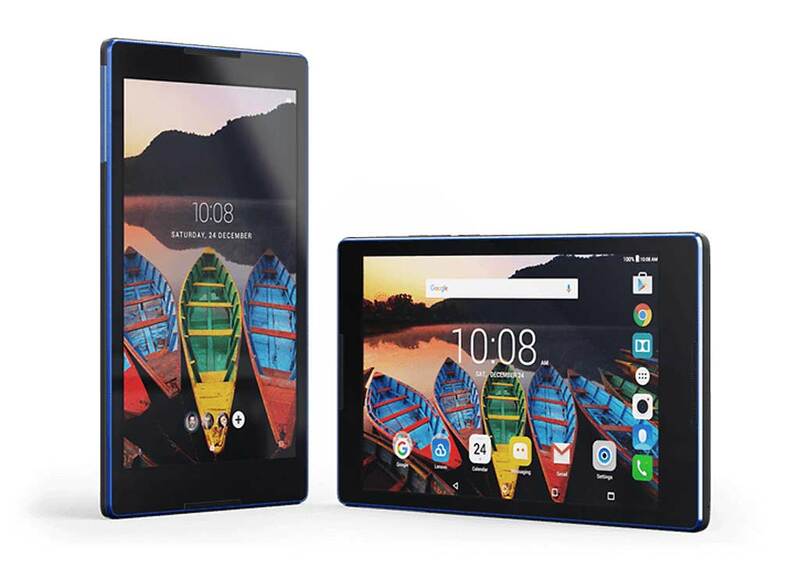 Lenovo TAB3 8 TB3-850F Price Full technical specifications pros cons info, key features, VS, Root, Hard reset, screenshots, user manual drivers, Buying price, product detail - DTechy. Model : TAB3 8 TB3-850F Smartphone Released on February, 2016. It comes in two variants one is WiFi only and other with SIM slot. How to take Screenshot in Lenovo TAB3 8 TB3-850F photos, images phone, Unlock for free via Hard reset Factory reset, root. Buy TAB3 8 TB3-850F cases, Flip covers, tempered glass screen protector from sale and check pictures, latest offers updates available for lowest price best buy online top internet deals, discount cashback from USA, Tesco flipkart, Staples, Amazon UK , JB Hi-Fi, Newegg, Argos, Shopclues, Ebay, Aliexpress, Alibaba, Overstock, Snapdeal, Kogan, Walmart, BestBuy, Amazon India, etc. Drivers and Guide or Instruction / User Manual. Know APN NET settings details for 2G / 4G / 3G / GPRS, know complete technical specifications and contract mobile phone plans. Solve fix cellphones errors stuck on logo, slow running, lag issues, crashing, tech Tips to make it run faster (speed optimization). The Lenovo TB3-850f is not able to have a sim card this is false information and this website is wrong, also the device only comes in white and has 2 gig ram not 1 and is a wifi tablet only. IT comes in Two variants one is Without SIM slot and one with SIM slot. Mine is black and I've added a 128gig sim card. I have a question though, it seems I cannot play any of the Google play store games on it. Even the 7 year old angry birds will not run. I occasionally get the error "your hardware does not support" error on some games. So far though, none have worked. Anywhere I can go to find a compatible list of games for this tablet? Sorry you are wrong Lenovo have confirmed there is only one variant of the Lenovo TAB3 8 TB3-850F which is white and wifi only, Lenovo state the black model is a Lenovo TAB3 8 TB3-850M a completely different tablet with different hardware and is older then the Lenovo TAB3 8 TB3-850F model.